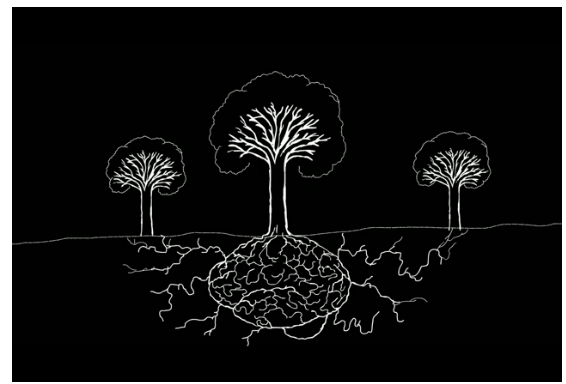 Professor Suzanne Simard, at the University of British Columbia has compiled this short film over on Karmatube.org about the interconnectedness of trees. Fans of Lyn Margulis will at once recognise the leitmotif of the Mother – symbiosis not mindless competition and survival of the fittest. Here we have the rise of the Goddess in scientific terms. Now that we can talk about the interface of fungal networks and the cortical cells of tree roots, we may just be on our way to general acceptance of the esoteric ideas put out by R Gordon Wasson and others regarding the role of fungal networks in the well being of the forest, and of the Earth itself.